No problem! Silver Springs is a warm, peaceful facility equipped to handle all your zombie needs. Their friendly staff will ensure they have a safe environment with daily exercise and raw meat. Rest easy knowing they’re in good hands… as they rot. 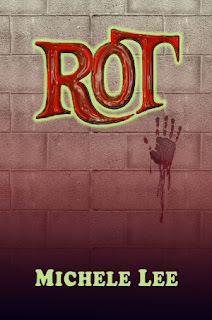 In Michele Lee’s Rot, you won’t find an apocalypse or Romero-style flesh-eaters. This is far more disturbing. Dean has just retired from the military, and working at Silver Springs as a security guard is where he decided his time would be better used. On his first day of the job, he meets his new helpers, Patrick and Amy. They happen to be zombies, but they don't want to eat Dean, yet. Patrick and Amy happen to be two of the only zombies in Silver Springs that still have their brains, no really, they haven't snapped yet. They still need to eat raw meat, and at times they feel like they will give into the temptation of chewing on a living arm, but for the most part they are just regular people. It doesn't take much for Dean to realize this, and he quickly becomes friends with them. When Amy gets taken away from Silver Springs, it's up to Dean and Patrick to find their friend, and put a stop to Silver Springs' foul ways. This was a very short read, at 50 pages. 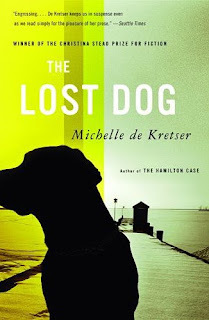 Michele Lee was able to quickly give her readers a well written backround of each character, and a great story. Her writing flows very easily, and she is very descriptive. While this short book was a horror novel, it also had a touch of romance to it, which was a nice change from other Zombie fiction that I have read in the past. I'd be more than willing to read more by Michele Lee in the future. Thank you Skullvine Press for sending me a review copy of this book, it was a great read! Purchase a hard copy from Skullvine Press. Purchase an e-book copy from Horror-Mall. A deeply satisfying novel that explores the tender bond between fathers and daughters, and celebrates the redemptive power of forgiveness and love - sometimes found in the most unexpected places. Thirty-six-year-old Stevie Pollack has earned fame and praise for her landscape architecture projects, though critics complain she's too formal, too rigid. 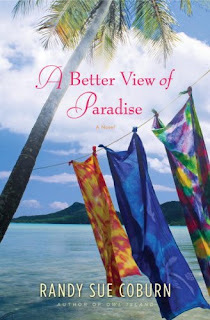 But when her boyfriend abruptly drops her, and her Chicago lakefront development project is panned, Stevie flees to Hawaii, where she spent her childhood with her emotionally distant father. Hank Pollack has returned to the islands for a very different reason; he's dying. As father and daughter mend fences, Stevie discovers new emotional depths within her father as well as a startling, hidden past. Shocking revelations force Stevie to undergo a personal transformation both uncertain and exciting. With Hank's help - and the very agreeable attentions of a handsome local veterinarian - Stevie learns to surrender her inhibitions and seize every beautiful day in a reconfigured paradise. Stevie Pollack is infamous in her career as a landscaping architect. She has spent a lot her time to get to the top, and is well known for her work. It takes a major toll on her when her newest project in Chicago gets a bad review, it doesn't make things any easier when she's also dumped by her long time boyfriend. When she finds out that her father is also dying, things really hit the fan. She hops on a plane to Hawaii to be by her father's side. She's not ready for her life to go down hill like this, and she's determined to do something that will keep her father around longer. Hank Pollack wasn't always the best father in the world, although he wasn't the worst either. He took Stevie to ball games to see their favorite baseball team, the Chicago Cubs, and was always very supportive of her decisions. He was on the other hand, not very affectionate as a father, hugs and kisses were not apart of his way of showing how he loved someone. Now, with him dying, he has to show his daughter, Stevie, just how much he truly cares. It isn't easy for him to ask for help from others, or apologize for his wrong doings. When I first picked up this novel, I was very interested in the prospect of it. When I hit the 50th page, I started to get bored. I told myself that I would finish it, regardless, because if I just put it down I might be missing something that was really worth reading. I was completely correct. This book was completely full of emotion, and I could feel the pain of each and every character involved. I wanted happiness for Stevie, and worried about the condition of her father worsening over time. This was my first time reading a novel by Randy Sue Coburn, and now I'd have to say that I would love to read more of her books. This book really hit an emotional button with me, and I found myself crying harder than I expected I would while reading a book. It was also full of a lot of Hawaiian culture, and I loved that, it makes me want to go to the islands of Hawaii and relish in their beauty. It was also wonderful to learn some Hawaiian words, as they were scattered throughout the book, and I think this gave the book some wonderful Hawaiian flavor. 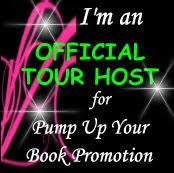 Thank you, Dorothy at Pump Up Your Books for informing me about this blog tour, and Randy Sue Coburn for writing such a wonderful book. 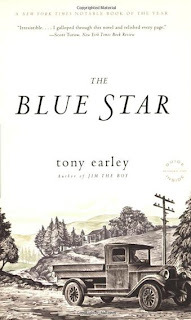 This book was also read for the August Book Challenge. I absolutly love books that involve Faeries, Vampires. I have never read anything that included a Succubus in the mix, but I would absolutly love to have a chance to read this book! 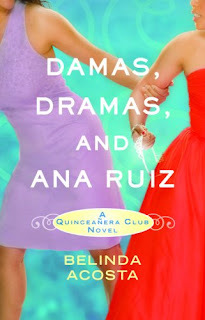 Not to mention, that the cover looks absolutly gorgeous! This is the first book in the Shadowfae Chronicles. Book 2 in this series, Shadowglass, will be released in April 2010. Having a contest to create a new layout for Falling Off The Shelf came from my very best gay friend, Derrick. After sitting in front of the computer for the better part of 2 hours, my sister and I came to the decision, that we have absolutly no html skills when it comes to creating Blogger Layouts! I told Derrick, and he said..."well, have your readers help! Throw a contest!" 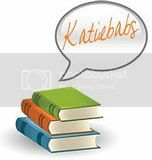 We did manage to find a pic on Google Images that screamed "Falling Off The Shelf!". So, we took that image, and headed over to Photoshop.com, where you can edit all your photos online as easy as 1, 2, 3! Yay. So, the above photo was what we ended up with, and I loved it! 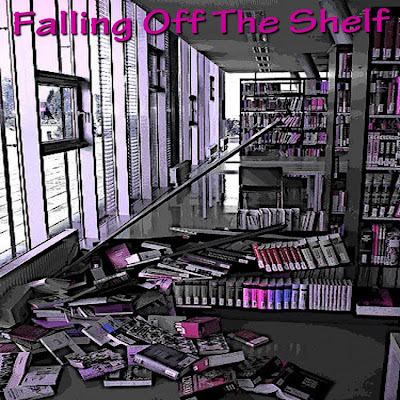 Take the above image, and create a 3 column layout for Falling Off The Shelf! Contest winner will win a $25 Gift Certificate to a website of their choice! YES..ANY WEBSITE that you'd like..great right? "How long do we have to do this? "...Great question! You'll have until October 1st, 2009. So...go get your butts in gear! Tell everyone you know..PLEASE! You can send all of your layout entries to jennilovevirgo@aol.com. You can even do more than one, send as many as you like! On October 1st I will sit down, and review all of them...and choose a winner. The new layout will be posted to the site that day, so everyone can see the awesome work, and the winner will be awarded their Gift Certificate. I'm looking forward to seeing how create you all are! This is the first time doing a weekly recap here at Falling Off The Shelf. I figured I'd quit leaving you guys in the dark each week about my plans for this site! 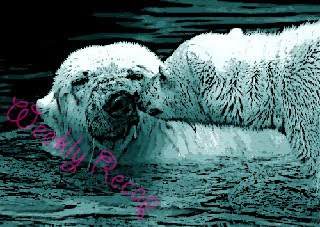 So here goes, and I hope you like my Weekly Recap pic...cause I edited it to my liking, and thought it turned out pretty cool. Reporter Annabelle Armstrong will go to any lengths to deliver a story, even track down Quinton Valtrez, a man she believes is a coldhearted assassin. Yet the truth about the darkly sensual Quinton is even more shocking...and the overwhelming desire he ignites is one she vows to resist. Quinton has fought his demonic powers since he was a child. Now using his gifts for the good of national security, he can't let himself be distracted by the beautiful, determined Annabelle. But his need for her is sudden, fierce--and could soon cost Annabelle her life. For a wicked enemy is out for vengeance, a demon who wants to draw Quinton into a life of pure evil and is willing to use Annabelle as bait. To save her, Quinton must achieve the near impossible: tame the sinister force that is both his inheritance and his curse before it claims him forever. 1. 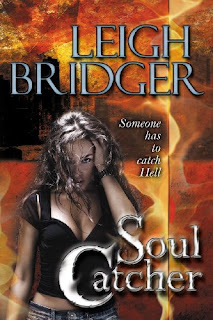 I set Dark Hunger in three of my favorite cites, Savannah, Charleston, and New Orleans because they’re all haunted and possess an eerie atmosphere – perfect places for the Death Angel. The B & B with the outdoor garden where Annabelle stays in Savannah is fashioned after a B & B where my husband and I stayed. And Shayla Larue is modeled after a voodoo priestess I met at the RWA conference in New Orleans. 2. 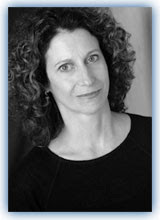 Emily Nelson, the social worker in the book, is named after my daughter who’s a dedicated social worker in real life. 3. The idea of the Death Angel taking a vulture’s form came from a brainstorming session with two author friends at a writer’s retreat near Charleston. I’d been flirting with other forms but, when the vulture idea came up, I knew it was perfect—creepy and symbolic of bad luck, evil and death. 4. Alfred Hitchcock’s The Birds inspired me as I was writing Dark Hunger. I also envisioned David Gray’s song “One With the Birds” as the soundtrack for the movie. 5. When I was a child, I knew a preacher who inspired me to create Reverend Narius. He was a hellfire and damnation type who yelled and stalked up and down the aisles during his sermon. It was as if he was singling you out to let you know you were going to hell. I was terrified of him! 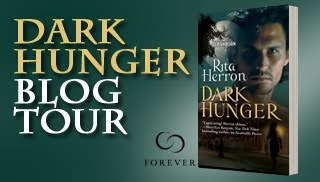 Thanks to Anna Balasi of Hatchette Books, I am able to give away 5 copies of Dark Hunger by Rita Herron! Along with those 5 copies, winners will each receive a signed bookmark to go with their book! Isn't that great? Deadline September 5th, 2009 @ 11:59pm Est. Kara Foster thinks the hardest thing about moving to Japan will be fitting in as an outsider. But dark secrets are stirring at her new school. When Kara befriends Sakura, a fellow outsider whose rebellious nature sets her apart from the crowd, she learns that Sakura's sister was the victim of an unsolved murder on school grounds. And before long, terrible things begin to happen. It starts with nightmares - strange, otherworldly dreams that wake Kara in terror every night. Then more students start turning up dead, with strange marks on their bodies. Is Sakura getting revenge on those she suspects are responsible for her sister's death? Or has her dead sister come back to take revenge for herself? Blurb gives away spoilers to prevous Shift installment. 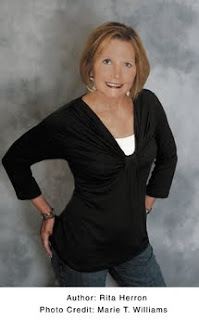 Author has asked that we do not post the blurb until she gives the go ahead. Starry-eyed teens are trading their souls for a lifetime of fame and fortune--and eternity in the Netherworld, a consequence they can't possibly understand. Kaylee is determined to save them, even if it means risking her own soul.